Is this jumping the gun a little? Maybe, but try as we might we never seem to get those notes out like we should. 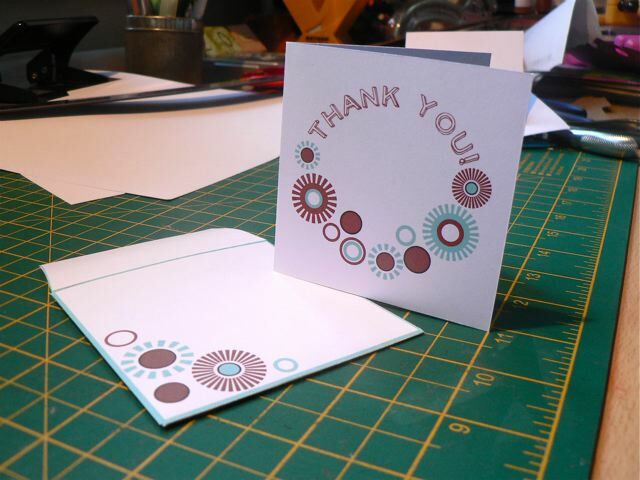 Is sending a Thank You card passe? I know my parents hounded us kids the whole of the holidays to get them done. Now, DH usually sits with a note pad, jotting down who got what from who on Christmas morning, and we do tend to send out Thank You EMAILS (given everyone who gives us gifts is far, far away) but actual posted cards? Gosh, not so much. 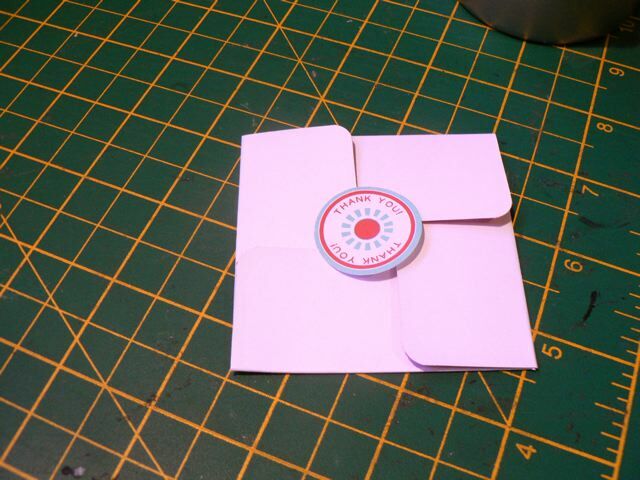 Cut and fold, and stick the tabs on the envelope – seal with a sticker maybe? This is more the red/aqua of the tags I did last week. The foldable, interlocking one may be best for hand delivering. This is more a true red. 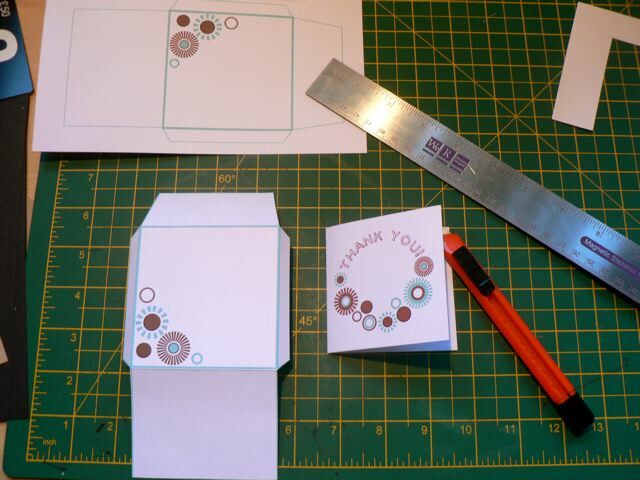 The design could easily be the inside of the card, so the thank you is revealed when it’s opened, OR you could fold it with the thank you on the outside, and put the little punched circle inside, along with your hand written thanks. 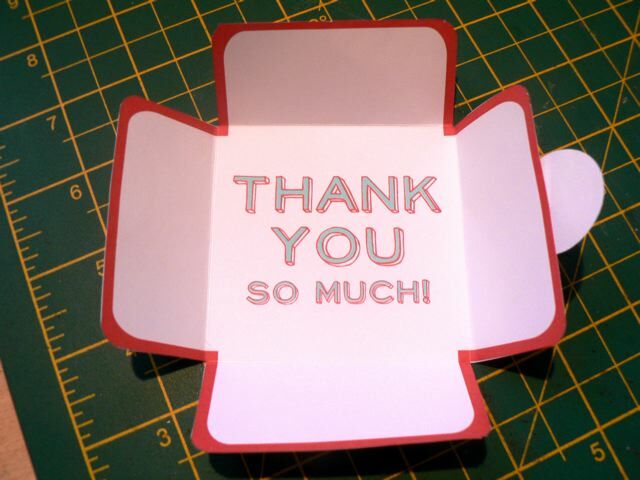 The red border can be cut straight then the corners rounded. That’s possibly it for me for the holidays. Between Christmas and New Year it’s all about UKS so all that remains is for me to say have the happiest of holidays and see you soon! Categories: cards, Christmas, printables | Tags: cards, printables | Permalink.